On 2 June 1980, Reims/Cessna F172N Skyhawk c/n F17202010 was registered PH-JPO in the Netherlands with Air Services Holland BV, Twello. On 15 July 1980, the PH-JPO was registered with Pro Air Group BV, Hoogeveen. On 17 September 1984, the 1980-built Reims/Cessna F172N Skyhawk was registered with Northern Air Group BV, Hoogeveen. 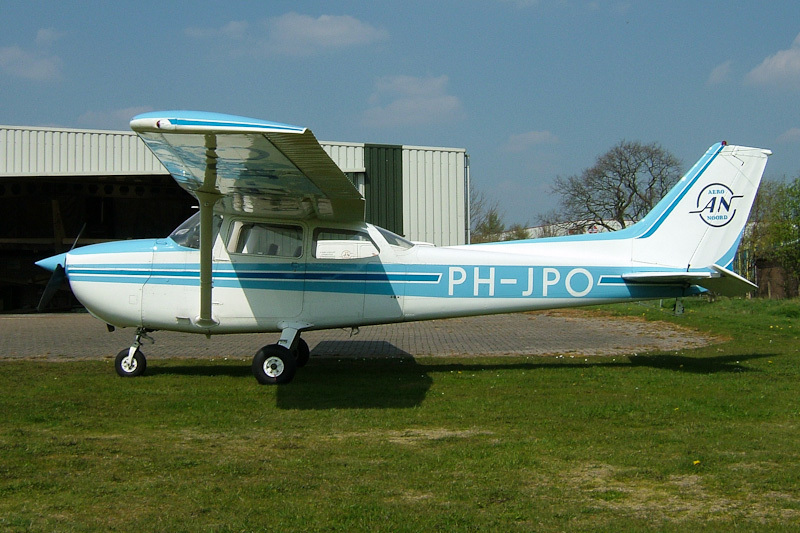 On 26 February 1987, the PH-JPO was registered with Dutch Air Advertising BV, Teuge. On 13 July 1995, the aircraft was registered with Aero Noord BV, Hoogeveen, as holder and D. Ruiter, Hoogeveen, as owner. On 26 November 2012, Reims/Cessna F172N Skyhawk PH-JPO was registered with R&V Aero Beheer BV, Hoogeveen, as holder and D. Ruiter, Hoogeveen, as owner. On 5 December 2012, Aero Noord BV, Hoogeveen, was declared bankrupt by the court in Assen.